The White House has released nearly $1 billion in stimulus money to make health information technology available to thousands of hospitals and primary-care physicians and to train thousands of people in healthcare and information technology careers. During a teleconference announcing the funds, HHS Secretary Kathleen Sebelius said $750 million would be earmarked to help hospitals and physicians adopt electronic health records. “We're at a point in the United States where only 20% of doctors and 10% of hospitals have even basic electronic heath records,” Sebelius said. Many obstacles exist to adopting this technology: small practices often lack their own health IT staff, and incompatible systems make it difficult for doctors to share patient information with pharmacies. To help remedy these situations, the $750 million investment will include $386 million to help states adopt frameworks to allow health information to be securely exchanged between providers, plus $375 million to support the development of 32 regional extension centers that will assist healthcare workers in developing and using health IT. 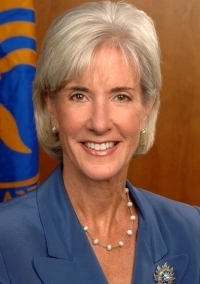 “These grant awards, the first of their kind, will help develop our electronic infrastructure and give doctors and other healthcare providers the support they need as they adopt this powerful technology,” Sebelius said. In addition, more than $225 million in Labor Department grant awards will be made available to train 15,000 people for healthcare, IT and other careers. These latest health IT funds come via the American Recovery and Reinvestment Act of 2009, which allocated an estimated $34 billion in federal subsidies to hospitals and office-based physicians and provided another $2 billion to help promote health information exchange and IT workforce development. A full list of state and regional grant recipients can be found at healthit.hhs.gov.